We're not a channel, we're a conversation. Join in below! 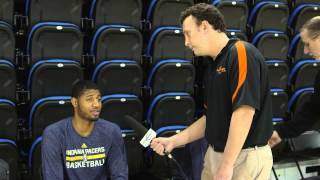 Coach Nick sat down with Paul George for an exclusive interview. Paul explains how he improved his jump shot and what he looks for when attacking out of the pick and roll.